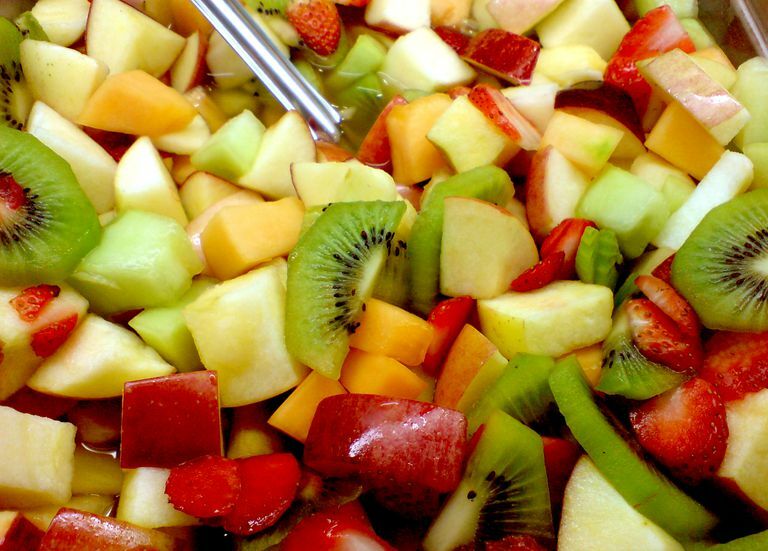 Eliminating fruit from your diet is not only unnecessary—it’s unwise. There should be no need for me, a public health physician, to tell you that fruit—real, whole fruit in its native state—is good for you, because there's a good chance your parents already did that long ago. And their parents likely did the same. Unfortunately, we are so good at propagating pseudo-confusion about diet and health that we have even managed to get nutty about fruit. (Nuts, by the way, are fruit, and they are good for you too—but that can be a topic for another day.) My most respected colleagues and I routinely lament the enormous opportunity cost of needing to re-establish—again and again—what we have long known about nutrition, rather than devoting our energies to learning what we don’t yet know, and perhaps more importantly still, putting what we do know to good use. Public understanding of the health effects of routine fruit consumption has fallen into just such a Groundhog Day quagmire for two reasons. First, beginning in the late 1990s, and extending into the early 2000s, right around the peak of interest in the Atkins’ diet, popular attention to the glycemic index exploded. While the index itself, and the related glycemic load, are very valuable measures in science, their use as a standalone indicator of nutrition quality was very misguided and symptomatic of our perennial inclination to seek out silver bullets and scapegoats. In case you are wondering, this is not just my assessment; the inventor of the glycemic index is a colleague and close friend, and he agrees. In any event, preoccupation with the glycemic index as the one dietary truth to rule them all precipitated a spate of fad diet books based entirely on the metric, perhaps most famously The GI Diet. In all such misguided tomes, the fruit was banished from the diet, at least during the phases of promised rapid weight loss, because of its relatively high glycemic index. The banishment of fruit in the service of weight loss or the prevention of type 2 diabetes was always both silly and wrong, but fad diet authors are expert at making the silly sound scientific—and the books sold like low-glycemic hotcakes. We had only recently recovered from the GI boondoggle when the vilification of fructose captured the public’s imagination, nearly ten years ago. The focus on the harms of excess fructose was born of legitimacy. High-fructose corn syrup had diffused throughout the food supply as an alternative to sucrose (derived from sugar cane or beets) because of its low cost to manufacturers and its capacity, shared with most if not all sweeteners, to stimulate appetite. There were, however, three problems with a fixation on fructose, and the on-going inclination to blame all dietary ills on sugar is symptomatic of them. The first was hyperbole: While an excess of added sugar (any sugar) is harmful to us, the contention that sugar in general and fructose specifically were “toxic” or “poison,” without consideration of dose, was wrong and misleading. Second, the conflation of high-fructose corn syrup for fructose was equally misleading. Like sucrose, high-fructose corn syrup is a mix of both fructose and glucose; the two sugars are more alike than different in both composition and health effects. The third problem is our topic today. Long before it was known as a component of high-fructose corn syrup, fructose was known widely as “fruit sugar.” Fructose is, in fact, the principal or even only sugar in most whole fruits. The problem here is obvious and predictable. If fructose were toxic, and fruits were delivery vehicles for it, then eating fruit must be bad for us. The scientists impugning fructose didn’t necessarily mean to indict fruit by association, but they did. But if eating fruit was in any way bad for us, it would be bad for us in the ways that excess sugar (fructose or other) is bad for us, and the ways that high-glycemic processed foods are bad for us, namely increased risk of weight gain, insulin resistance, and type 2 diabetes. The truth is that routine intake of whole fruit has long been associated with exactly the opposite effects. Whole fruit has long figured in dietary patterns associated with weight loss and weight control, as well as good health across the lifespan. Fruit has been shown to protect against diabetes. The evidence that eating whole fruit not only is innocent of the transgressions of added sugar, but directly defends against them has long been strong. It recently became even stronger, fortified with the results of a multi-year study of roughly a half million Chinese adults, published in PLOS Medicine. Routine intake of fruit among those without diabetes at baseline was associated with a highly significant reduction in the risk of diabetes developing. Routine fruit consumption among those with diabetes was associated with a comparably significant reduction in the risk of complications or premature death. There is a lot more to whole fruit than fructose. Along with a wide array of beneficial nutrients, most fruits are concentrated sources of fiber. Fiber is filling, effectively calorie-free, and can even help stabilize blood sugar and insulin levels. Because fruit juice eliminates fiber and pulp, tends not to be filling, and accelerates the delivery of fructose, it does not share the credits of its parent, and intake should generally be limited. Whole fruit is a mainstay in the best diets for longevity and lifelong vitality. Routine fruit intake defends against obesity and diabetes alike. The truth about fruit is a reminder that scapegoating any given nutrient or property can obscure the health effects of a whole food that is more than the sum of such preoccupations. The active ingredient in blueberries, in other words, is blueberries. Your parents were right: Fruit really is good for you. Really good for you. We really ought to accept that once and for all and move on.